Today we were thrilled to be visiting our first CAFOD project in Murehwa, one hour north-east of Harare. 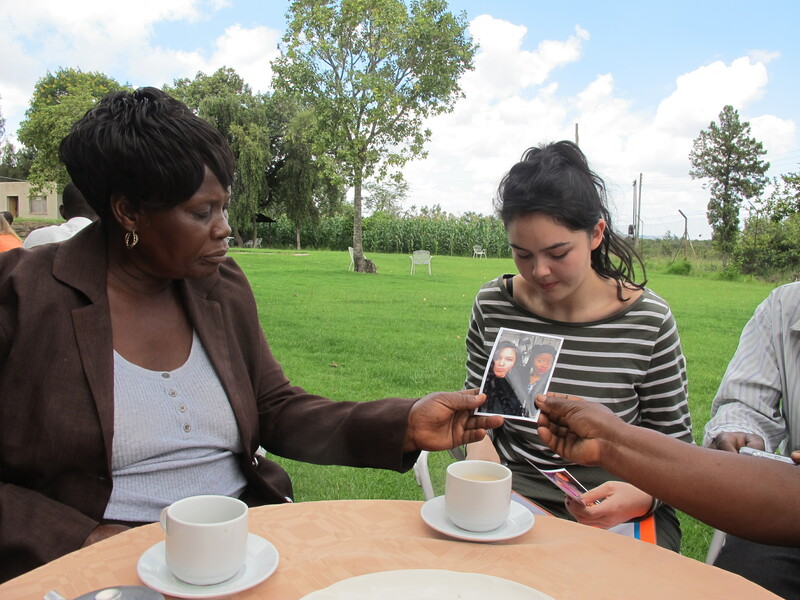 On arrival we met with CAFOD partner, Caritas Harare and the Murehwa authorities. 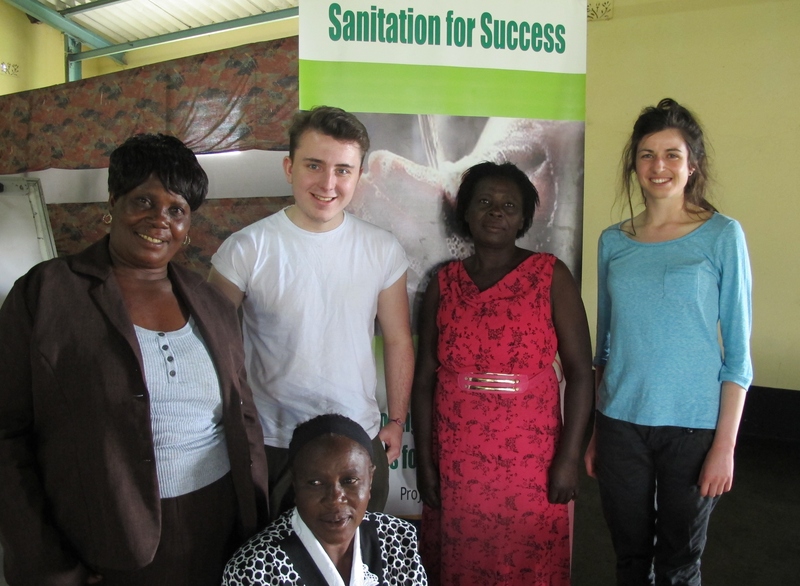 They told us about the Sanitation for Success programme that CAFOD supports, and that we’d be visiting throughout the day. First up, we attended a training workshop for community health workers about the importance of good sanitation in communities. As it was the first meeting, we all took part in a ‘getting to know you’ exercise, which we really enjoyed. This showed us the importance of the programme facilitators taking the time to get to know the community health workers and likewise for the health workers to really get to know their communities, facilitating collaboration, understanding and strong teamwork. Mary was partnered with Eunice Shereni, a village health worker who’d been selected to help implement the project in her community. Currently, her work as a community health worker involves visiting people in the community to advise them on the importance of good hygiene practices, protecting water wells and also nutrition and immunisation for babies. Leila was greeted with a warm smile from Shelter Nyatsunga, who cares for five grandchildren, three of whom are orphaned. Later, we explored the Magamba residential area. Here some of the households have pit latrines, which can leak and contaminate the drinking water in the well. CAFOD partner Caritas Harare is working with the local authority so they can build a sewage system, which will allow people to have a flushing toilet and improve sanitation and hygiene in the area. It was interesting to compare the old and new dumpsites to see how waste management is improving in the area. Caroline, from Caritas Harare, said to us “We hope that by end of this project, people will have access to basic water and sanitation services, improved hygiene practices, a cleaner environment and a healthier Murehwa”. Back home in England we hear all about the projects but seeing them in reality makes you realise the importance projects such as the one we witnessed today. It gives us a sense of realisation and a drive to discuss the great work of CAFOD even more, with eyes that have seen both sides of the story. Great article well worth a read. You all look fab! Keep asking questions. Hope binga going well. With you every step of the way. Reblogged this on CAFOD Salford's Blog. Good to hear from you again you lovely gappers!